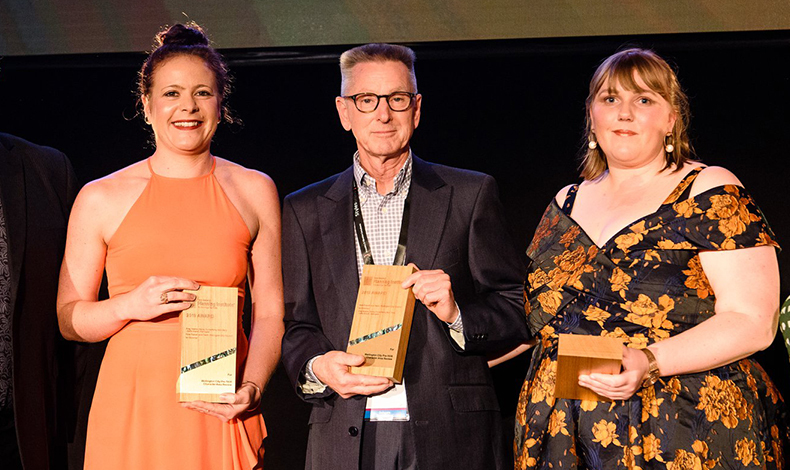 Wellington projects have been recognised: a Golden Quill Award of Merit related to the Omaroro/Prince of Wales Reservoir Consenting for Wellington Water, and an NZPI Best Practice Award for the Pre-1930’s Character Area Review undertaken with Wellington City Council. The creativity and skill of our Technical Services team played a key role in these wins. For the Omaroro/Prince of Wales Reservoir project, Boffa Miskell is sub-contracted to Beca to assess and design a new buried reservoir. This reservoir is to be constructed and operated within the Wellington Town Belt, so it’s important to ensure it becomes integrated within its vegetated and open space context. Led by project manager Stephen Fuller, our landscape planners and ecologists prepared separate assessments and evidence to support a notice of requirement through the Town Belt Act and Resource Management Act hearings. This included ensuring adverse effects could be avoided, remedied or mitigated and developing the final design through collaboration with the community. Senior Visualisation Specialist David Irvine developed virtual reality simulations to assist with community engagement. These simulations were part of the wider engagement programme led by Latitude Strategy & Communication, who submitted their work for an IABC Golden Quill Award in the Community Relations category. The Pre-1930s Character Area Review was a stocktake of the six pre-1930 character areas contained in the Residential chapter of the Wellington City District Plan. Along with a detailed analysis of the properties, WCC wanted a flexible tool that would enable them to easily and effectively engage with a diverse range of audiences in real-time. It was also important that residents could access the information independently, rather than having to go to the council office, or being required to attend a scheduled engagement session. Taking a geospatial approach, GIS Specialist Hayley Hume-Merry enabled the project team to deliver on all fronts. Proprietary software was configured to create a cost-effective method of desktop data collection. Field verification was undertaken by 2-3 person field teams using an iPad app. Leveraging off the data collected, the ArcGIS platform enabled development of a series of area-specific dashboards with interactive charts and statistics to convey this information to the viewer in a way that is intuitive to navigate and easy to understand. This project also has been short-listed for an ALGIM (Association of Local Government Information Management) GIS award. Those awards are presented in early May.